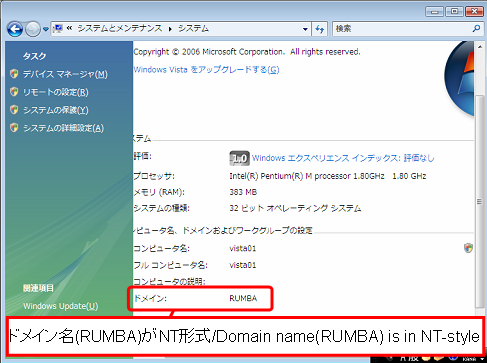 ■ [コンピュータ][Samba] Windows Vista Business 製品版から NT ドメインへの参加 OK / Windows Vista RTM can join to Windows NT Domain. 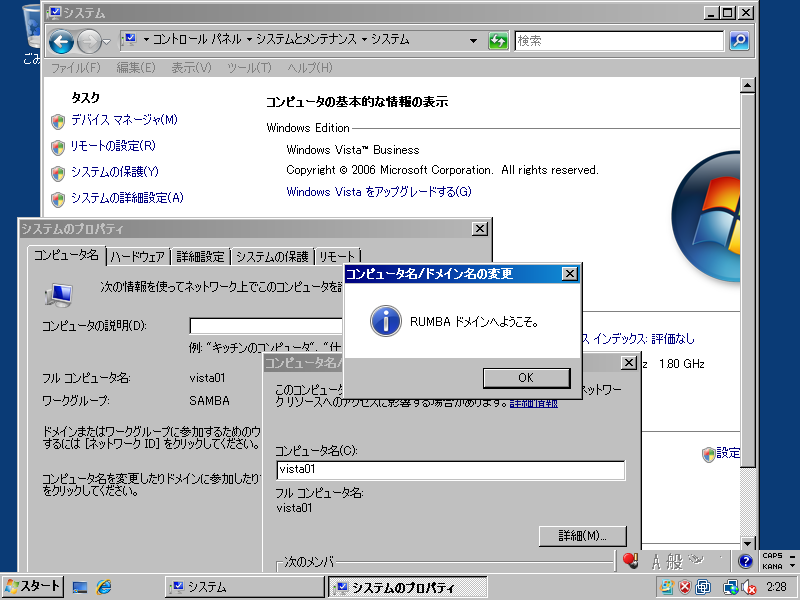 As far as I examined, Windows Vista Business (MSDN version) can join to an NT Domain (Windows NT Server 4.0 SP6). You must change "NTLMv2 only" to "Send NTLM only" or below on Windows Vista side, and Create its machine account with Server Manager first on Windows NT side. Also take care of Firewall settings.